Hollow future or vapid present? Well, it's short. More of a novelette, or a very long short story. So there's that to be thankful for. 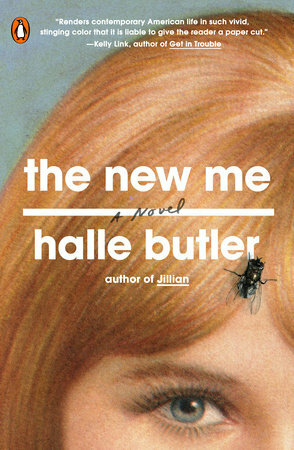 THE NEW ME is touted as darkly hilarious and devastating. Not particularly funny, although Halle Butler's voice carries a hint of humour. As if you're spending time with a friend possessed of a dry wit and a masterful eye-roll. Trapped in the funhouse of American consumer culture? Didn't get that bit at all, at all. Who writes the cover copy? Did they even read the book? As best as I cal determine, thirty-year-old Millie is one of the many millenials who went to university and obtained a worthless degree that leaves them as unmarketable as the average secondary school graduate. She works for a temp agency and feels as if she is entitled to live in an expensive city like Chicago even though she doesn't earn enough money to pay her own rent. The parents help her along, perhaps to keep her from moving back home and bringing her whingeing with her. Most of the book is more of a "woe is me" sort of thing, the weight of the world on her shoulders and an absence of understanding in her skull. Millie is the girl you don't want to talk to at a party. As for a realization that her vision for her future is hollow, let us say that her vision is more an unrealistic cloud of a dream. Yet I do know people like Millie, the head-in-the-clouds dreamers who think that dreaming is enough to achieve the goal, like landing a lucrative job and sailing away on a solid career path. it's all the hard work and sacrifice that spoils the fun of living in the big city with a very high cost of living. There's a reason why we are advised to not envy our neighbors' goods. Just leads to depression, which Millie has in abundance. I finished the book. It was only the author's voice that kept things interesting. The literary world is filled with them, the Jewish girls who live in New York and hate their mothers, the gay man, the scion of academe, and all so self-absorbed as to make them laughable. 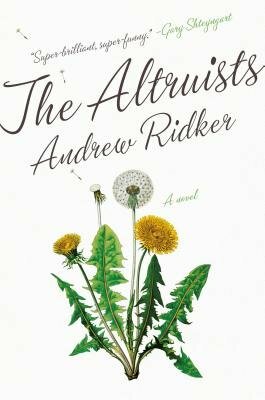 They are here, in THE ALTRUISTS, but author Andrew Ridker does not present them as serious folk worthy of sympathy. The family at the center of the novel is a dysfunctional crew, with no redeeming characteristics. We don’t have to cheer for them, feel for them, or hope for them. Just laugh at them, as the rest of the non-literary world laughs at the shallow creatures. Four people, so wrapped up in themselves that they don’t notice the others. What made this novel so readable was the fact that I did not feel as if I had to follow the formula, that the author invites his readers to snicker at the antics of his clueless creations. Does he write from experience at the prestigious Iowa Writers Workshop? I kept turning the pages, wondering if any one of the four would reach that moment of awareness and evolve into a decent human being, as is standard format for the typical novel. Not to give the ending away, but it did follow the prescribed formula as taught, no doubt, at the Iowa Writers Workshop. Worth a weekend when you need a giggle and can get past the endless litany of Jewish New Yorkers with links to academia that are so popular with the publishers these days. 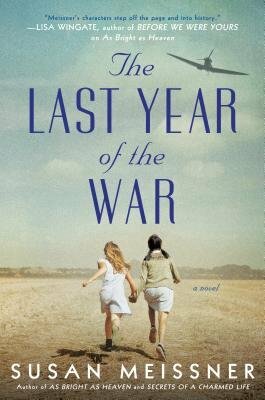 The internment camps set up by the U.S. during the Second World War are not often the subject of historical fiction, and even more rare is a novel that takes its structure from the internment of German-Americans along with those of Japanese ancestry. 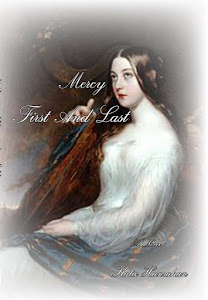 Right from the start, author Susan Meissner has a strong premise that captures the reader's interest. Who knew, you might say as you begin the story, who knew that Germanic blood could see a family shipped off to a remote location. From that beginning comes a tale of friendship between two girls who find themselves torn from all they knew as children growing up in typical American surroundings. Elise and Mariko become firm friends in the short period of time that they are together, their relationship beset by bigotry and the inability of Mariko's father to accept the fact that his American-born daughter is too American for his taste. There is plenty of cultural conflict to propel the narrative, aided by the book's structure. 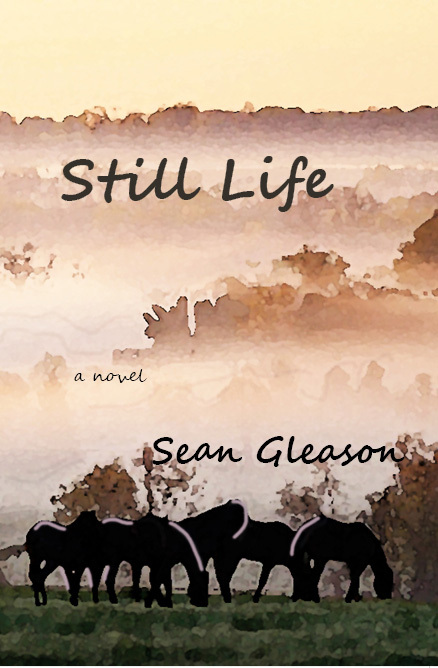 The tale begins with Elise in the early stages of Alzheimer's, determined to relocate her dear friend after an absence of almost sixty years. The past and present intertwine as the reader discovers the reason for the rupture, the disruption created by deportation and personal struggles. 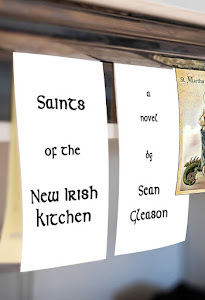 The novel is a compelling read, the sort of book you can't put down readily. Thanks ever so much to Penguin Random House for the opportunity to discover a forgotten chapter in history. What a pity that summer is over, but if you can get yourself to a beach somewhere, take ONE DAY IN DECEMBER with you. 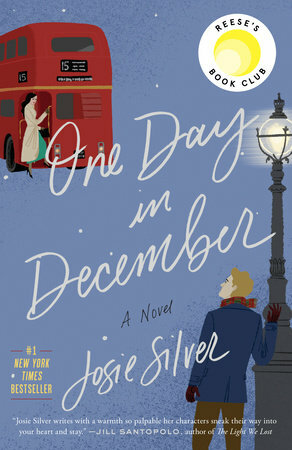 Author Josie Silver spins a yarn out of entanglements in this book, with best friends Laurie and Sarah tangled up with Jack. From the love at first sight opening to the expected plot twist in which it's Sarah, and not smitten Laurie, who ends up with Jack, the narrative twists and turns through ten years of relationships building, growing, and coming to pieces. Sure it may be quite predictable, but when you're looking to get away from the world's chaos, this is the break from reality that you need. Toss in a few stock characters, like the ex-girlfriend working in tandem with the shrewish mother-in-law to undermine a marriage, and all you need to add is a large rum-infused beverage to make it complete. A bon-bon of a novel, it makes for a good weekend read even without the beach. But a warm fire or a cozy afghan would be almost essential. Thanks to Penguin Random House for the review copy. History is written by the winners, it is said, but it's the winners who survive that live to tell their tale. 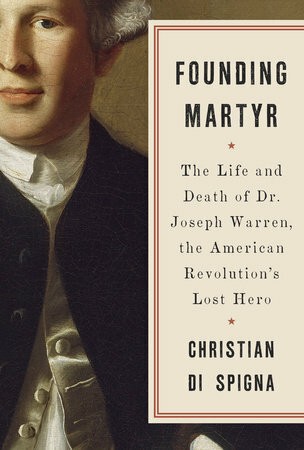 FOUNDING MARTYR is the biography of one who died early in a conflict, a work that brings to light the many contributions of Dr. Joseph Warren. By rights, he was one of America's founding fathers, and Christian Di Spigna does a fine job of illuminating the life and times of a man who has been largely forgotten. Dr. Warren had a comfortable life and a booming medical practice, yet he did not hesitate to join the resistance to British interference in colonial self-government. To read about a man's dedication to what he thought was right and just makes for fascinating reading. Imagine yourself, with young children to provide for, but you are so incensed about unfair taxation that you organize resistance, even at risk of imprisonment or death. 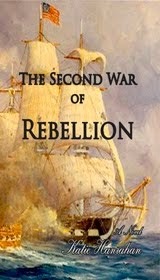 The man was an intriguing character, and the narrative lays out a timeline of events that show how one thing led to another until the first shots of the American Revolutionary War were fired. Readers will come away with a strong sense of what made a gentleman in those trying times, and what was expected of those who dared to step forward and lead. 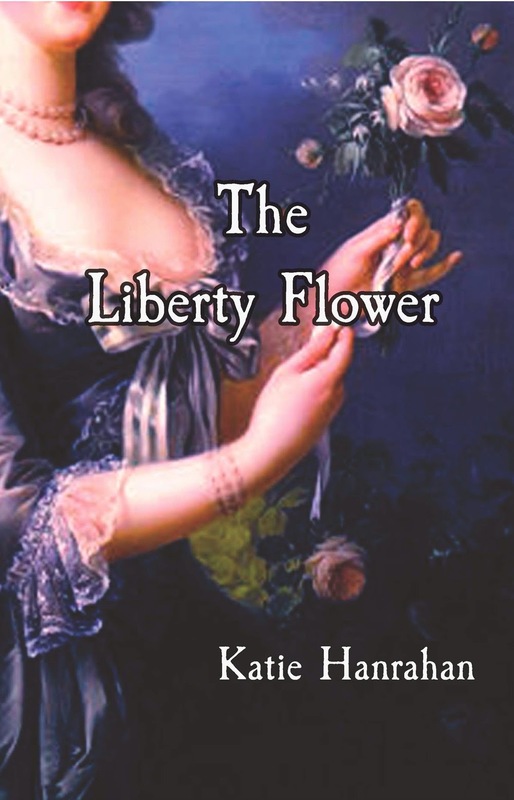 Well worth reading for history buffs or anyone enjoying the liberty bought at a high price. As always, thanks to Penguin Random House for the review copy. What is the novel about? It does not matter. This one is all voice: adrift, floating, moving in space with such smoothness that you don't realize the narrative is moving. The protagonist is a concert pianist after a debiliating injury. The novel takes place in his scattered thoughts. The prose is remarkable. Mr. Field has taken his settlement post-injury and moved to South Africa with his wife, who leaves him but it takes a while for you to realize she's gone. Yet you don't mind, the not-knowing, because the words are so lovely you aren't following the arc of the story but letting the words wash over you like the sea. In time, he becomes obsessed with the widow of the architect who designed his house. They have conversations in his head, imaginary chats, delightful talks that feel real but we all know it's just his imagination. The obsession becomes stronger and drives him to act in bizarre ways that fit what has gone before. This one is not for everyone, and if you're looking for a story to get lost in, this won't do. This is a piece of writing that you can fall into like a soft feather bed, more poetry than prose, a journey into a character's head when said character may not be altogether of sound mind. Appropriate somehow to tackle a book with poetic prose as dense as ULYSSES with Bloomsday just behind us. 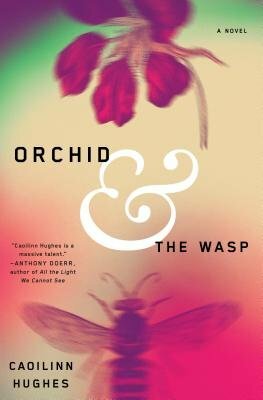 Caoilinn Hughes is a poet, and her prose has the lyrical quality of poetry. 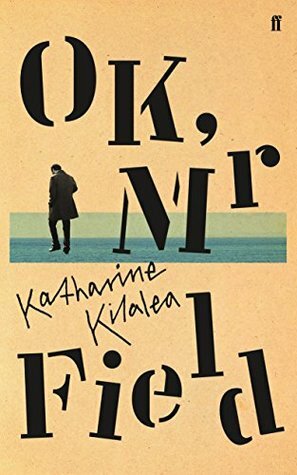 It makes for a difficult read, however, not unlike walking through a thick swamp of words that string together so prettily but confuse the reader when it comes to telling a story. Gael Foess is a product of the Celtic Tiger and the crash that followed, wandering in search of the right hustle. Her family is not entirely supportive, and she turns down what help is offered by a father in the financial game. She protects, or tries to protect, her younger brother with mental health issues, using perception to finagle quite the payday out an art scheme she concocts for the money that's in it. At least I think that's the gist of it. The narrative doesn't quite flow as smoothly as you might like for a relaxing read, and the prose itself is so intriguing that you read without gaining any context. Not a book for everyone, but for those who like the stylings of James Joyce, this is worth considering.